Rubber, steel & plastic spare parts or casting parts are available or custom manufactured for your geotechnical applications. 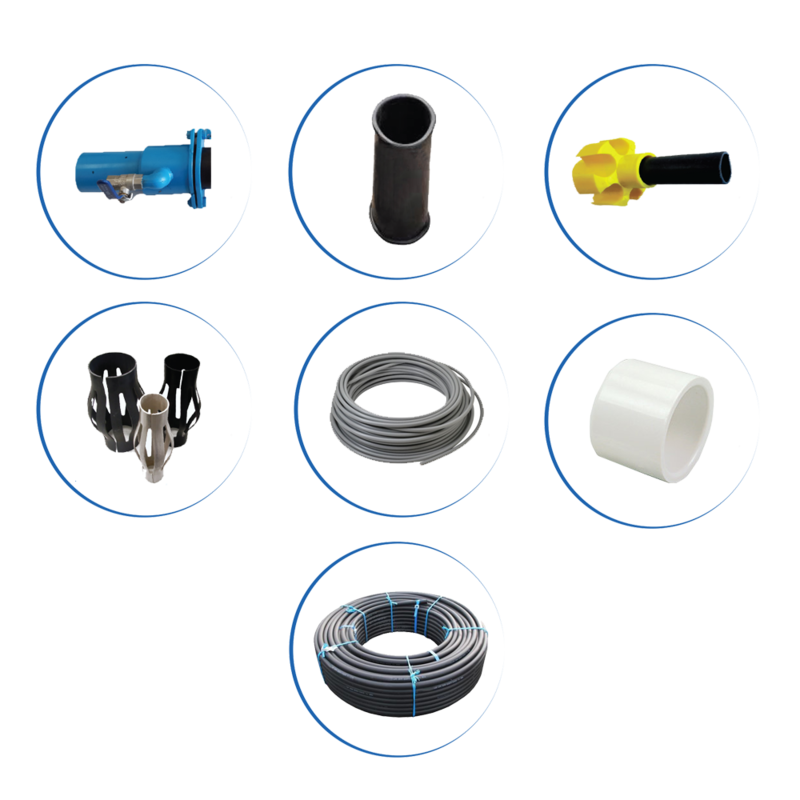 Products supplied are the fruit of extensive research and development from our departments to provide you with high abrasion resistant gaskets and nozzles, as well as high pressure resistant tubes to cope with your job site needs for better foundation quality finishing. Structural pads, strips and bearings are manufactured according to British Standard BS 5400 and European Norm EN 1337. Installed mainly to isolate concrete or steel structures such as water reservoirs, buildings or bridges, structural devices are manufactured using virgin Neoprene (CR) or Natural Rubber (NR). 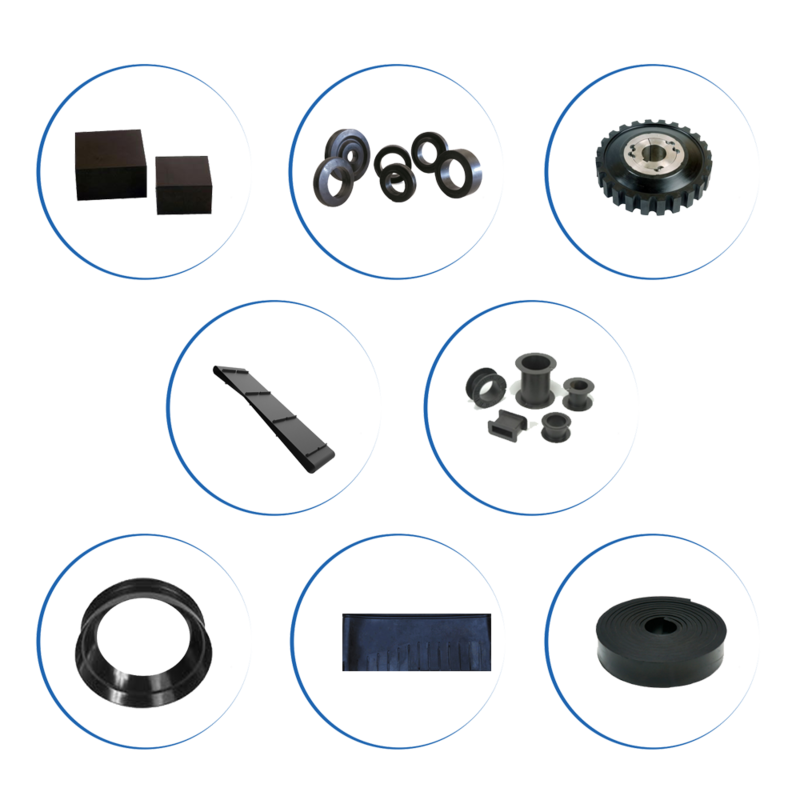 • Plain & Laminated Elastomeric Bearings. • Sliding laminated Elastomeric Bearings. 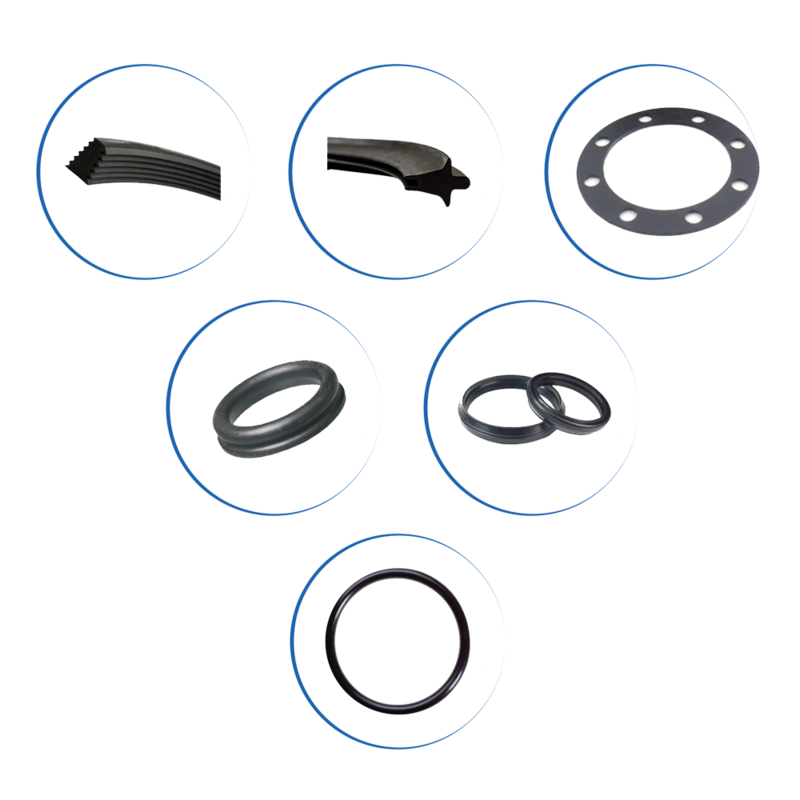 Rubber Seals and Gaskets are manufactured according to European Norm EN 681-1. 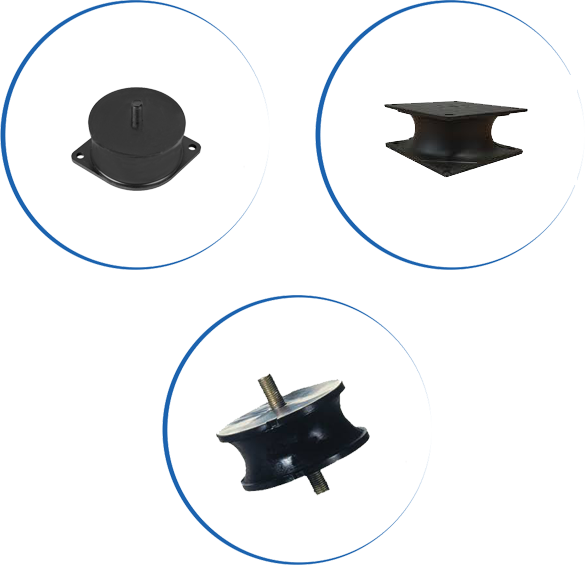 Anti-Vibration pads, mounts or strips are available or tailor-manufactured according to the type of vibration and isolation requirements. Heavy duty spare parts are available in stock or customized according to your machines’ special requirements. Steel die cuts and molds are custom manufactured to cast or extrude any new item upon request. Compactor Mounts are manufactured to meet high loads of tear resistance. They are designed to isolate high vibration frequencies and are tested to secure metal to rubber bonding. Screws and bolts are chosen of high grade steel, to cope with the shear forces applied. 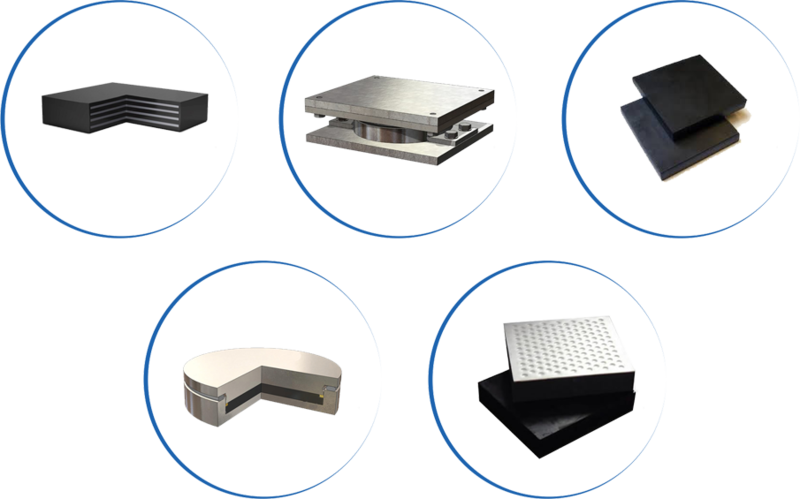 Our product range covers the wide variety of Compactors, Asphalt pavers, Asphalt milling machines etc. Customized Mounts or Track Pads can be designed upon your requirements. Since their introduction to the rubber and car industries, tire wastes represent a major environmental issue. Tire recycling is indeed one of the most difficult processes, a fact that leads waste recyclers to use plastic or other easy-to-reclaim materials. Benefiting from over 75 years of know-how in the rubber manufacturing industry and 25 years of research in recycling, MAP comes to provide a solution to the ever growing tire waste issue. Our proven method can reclaim and recycle not only tires but any rubber dump available. 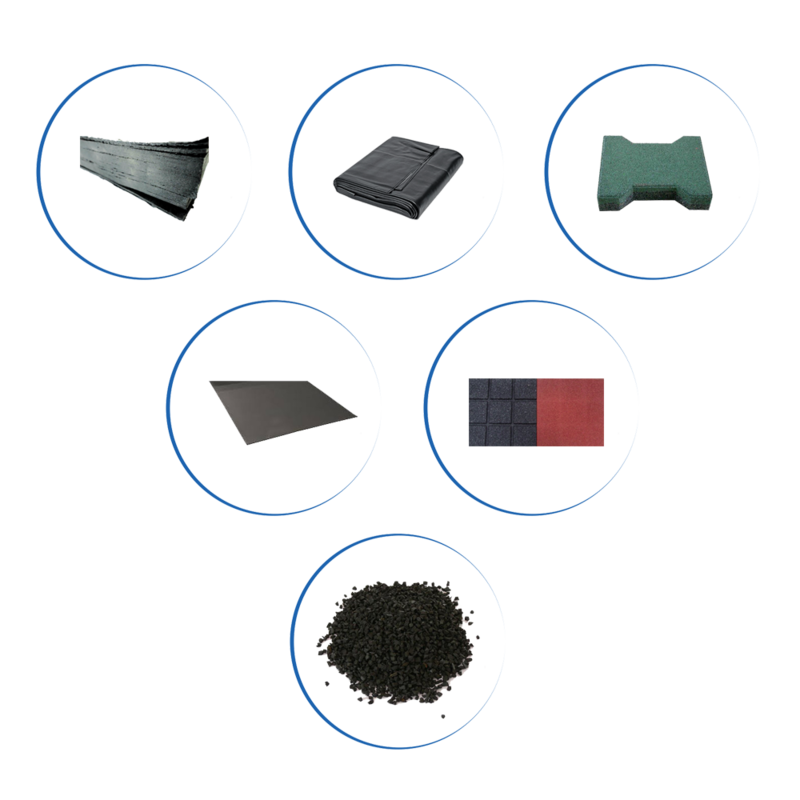 Conveyor belts, sheets, rubber scrap from existing rubber manufacturers or other could all be introduced in the WRR® processing system, turned into raw material, sold to rubber manufacturers or even manufactured in-house, while benefiting from our manufacturing expertise. © 2019 Modern Advanced Polymers. All Rights Reserved.